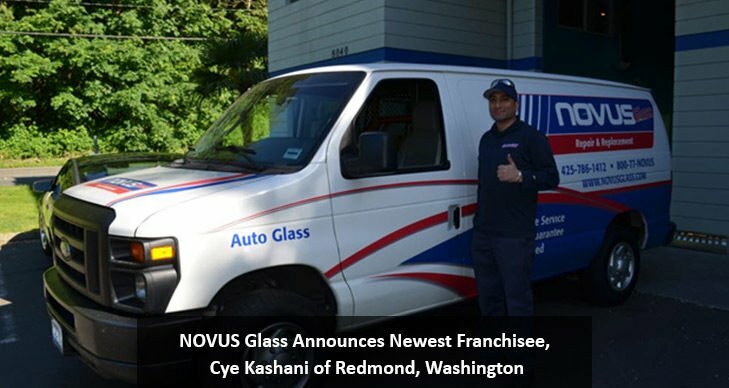 St. Paul, MN – NOVUS Glass is pleased to announce its newest franchisee, Cye Kashani of Redmond, Washington. Cye originally joined the business as the auto glass technician but after two years he had an opportunity to buy the business. NOVUS currently has over 2,000 franchise locations and is the international leader in auto glass repair. Potential franchisees do not need experience in auto glass replacement but a history in business and employee managementis helpful. With comprehensive, hands-on training, and the reputation as the world leader in auto glass innovation, NOVUS has the ability to help families like the Bentleys build successful businesses.